Background checks on gun buyers are up for review in the US in the wake of the mass shooting at the First Baptist Church of Sutherland Springs in Texas. US Attorney General Jeff Sessions has ordered the investigation amid concerns that the Department of Defense and other government agencies may not be properly reporting all crimes committed by their personnel to the national database (NICS). You rarely if ever see near-unanimity like this: new Quinnipiac poll shows, by 95-4%, Americans favor universal background checks. Highest % ever. Broad support for other gun reforms too. Crickets in DC, as usual. The Texas shooter, Devin Kelley, had been found guilty by an Air Force court-martial in 2012 of assaulting his first wife and a stepson. Federal law prohibits anyone from selling a gun to someone who has been convicted of a crime involving domestic violence against a spouse or child. The US Air Force has said that it failed to provide the necessary information on Kelley, who went on to purchase guns in Texas in 2016 and 2017, to the FBI. 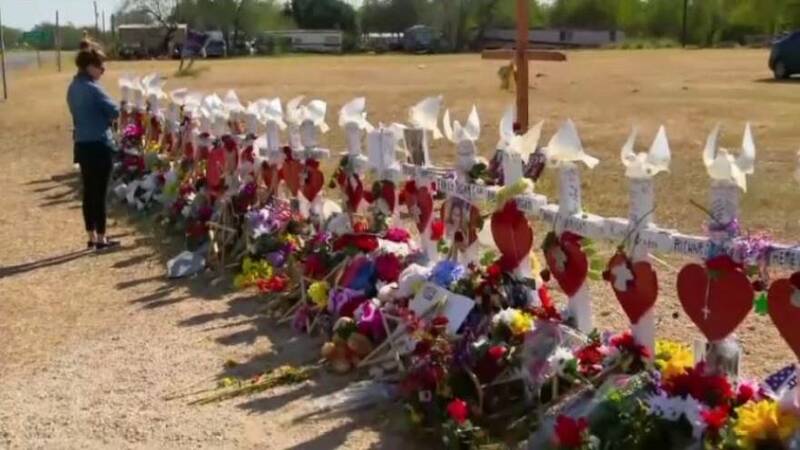 Our partners at NBC interviewed the Pastor of Sutherland Springs First Baptist Church about his experience since the day of the shooting. He speaks movingly of the loss of his 14-year-old daughter, and his determination to celebrate Thanksgiving despite the suffering his community is enduring.